"Life is short, I want to Live it Well!" We hope that our wedding day will be a reflection of the way that Taylor and I both hope to live our lives out every day. One of Taylor’s favorite songs (I want to claim it as a favorite too) is Live it Well by Switchfoot! 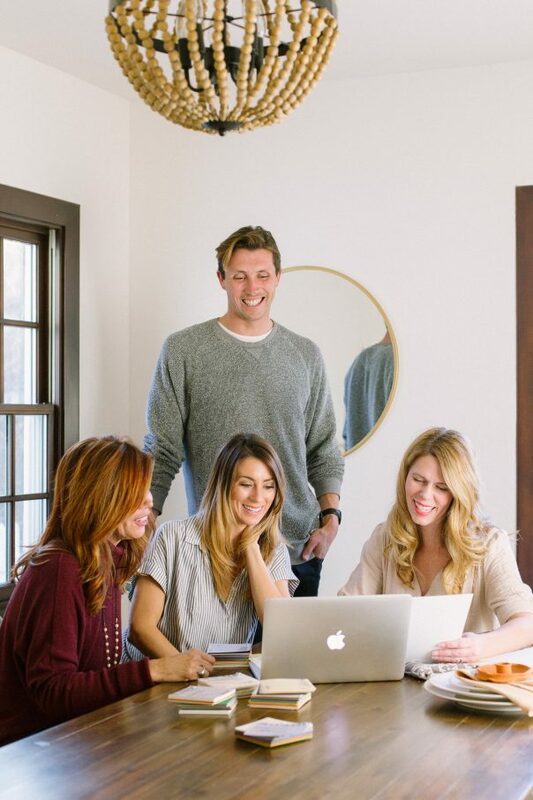 (Definitely take a listen, it’s super inspiring, and we love these guys!). But the words, “I want to live it well!” has been a piece of inspiration for our wedding day and for our wedding designers, Amorology! 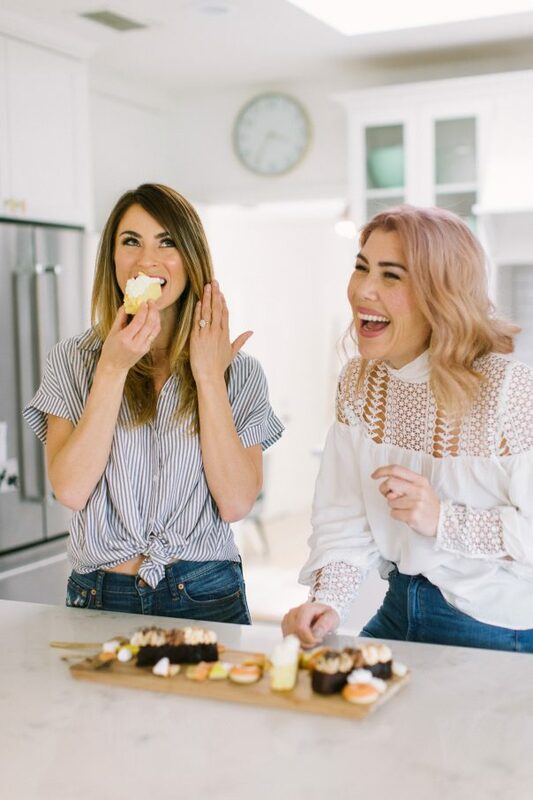 Without giving too much away, because we should probably keep a few things a secret , I thought I’d share a little bit about our details and the amazing vendors that are helping all the key pieces come to life for our big day! 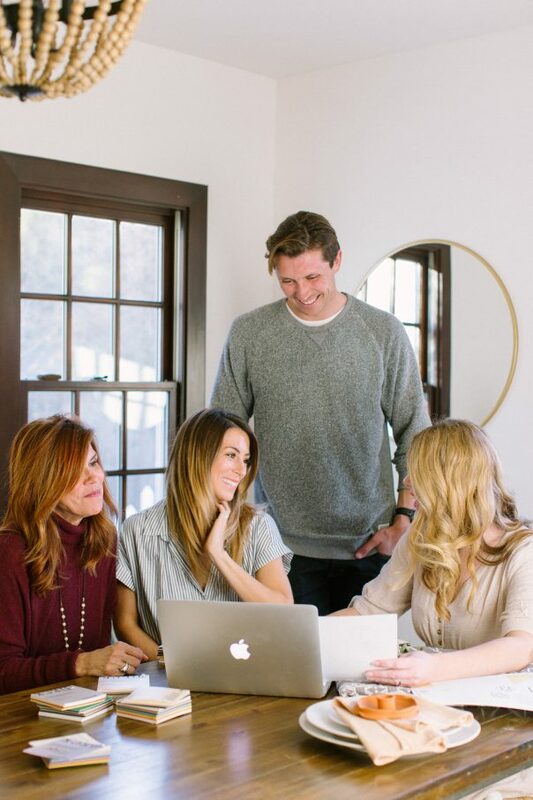 If you read my blog about our Dream Team- the where & when, you know that one of my greatest desires in planning a wedding is to just show up! 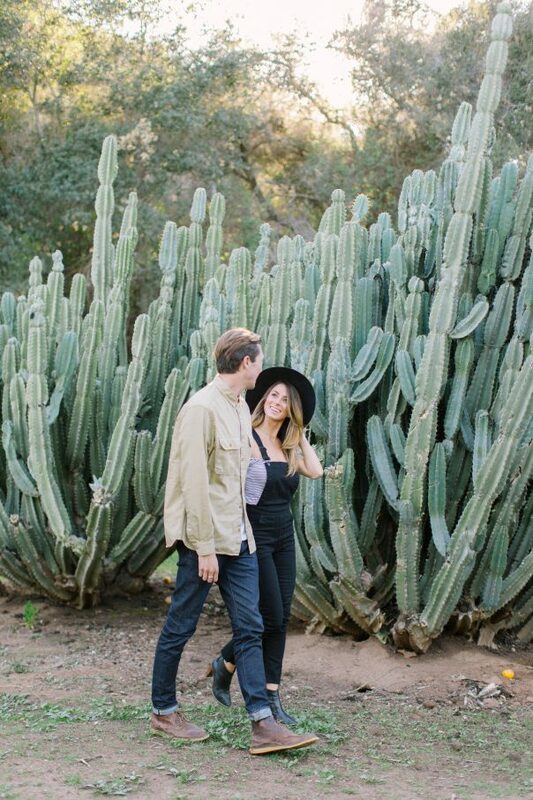 Because of this desire of mine, I’ve asked the vendors, and Amorology to take creative control, which will be extra fun to just show up and for us to get to be surprised by the beauty that’s going to come together on the day of the wedding. This is probably hard for many to do when planning anything, but I have full confidence and trust that our vendors are the best of the best, and they all work incredibly well together, so that is a huge plus! Brides and Grooms… if you struggle putting your wedding vendor roster together, I highly suggesting asking for names of other vendors from your favorite vendor. Tied into the idea of wanting to “Live it Well” in the sense of living every day to the fullest, living a vibrant and healthy life is also integrated into my daily life, so I have a feeling we’ll see some nuggets of that throughout our wedding day. The day will be bright, whimsical, rustic, intimate, earthy, and naturally romantic. The colors are sure to be popping through our gorgeous flowers that will be done by Nancy of Oak & the Owl. What a gem this woman is. Flowers are such a huge part of the day, and a lot of love and TLC goes into each and every arrangement, bouquet, centerpiece, etc. But this flower farmer- yes, she’s all hands on deck, has the touch and that passion that makes every arrangement special! I cannot wait to see all the details. As we met recently, I couldn’t stop smiling from ear to ear imagining how special every piece will be. So excited to have Oak & the Owl a part of the dream team! To check out more of Oak & the Owl’s work, click HERE. 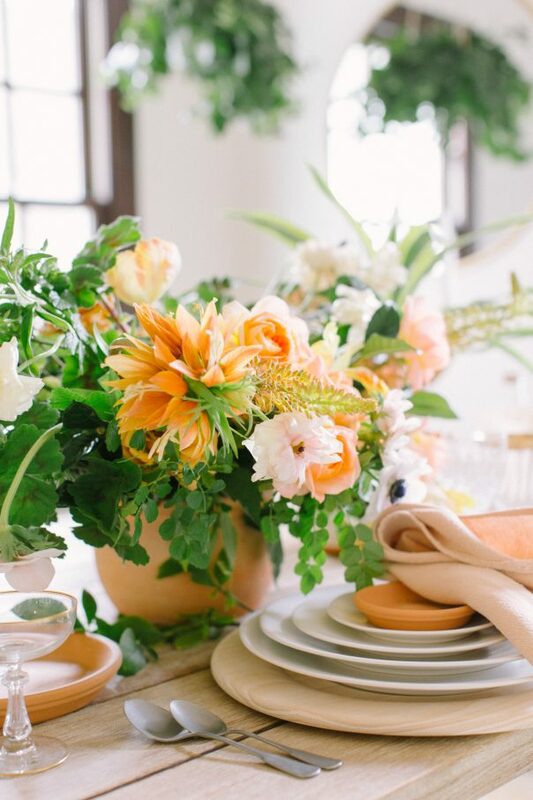 As Amorology has dreamed up and found inspiration for our wedding day, I’ve watched inspiration boards fill up with gorgeous colors and unique tableware pieces from Hostess Haven! What Hostess Haven has to offer is truly all one-of-a-kind tabletop collections. Because I’m extremely out of the loop so to speak in the wedding planning world, I honestly didn’t know there was a place you could rent all of this magic from, and I also couldn’t have dreamt of having such beautiful place settings to sit with our loved ones as we celebrate such a special day. 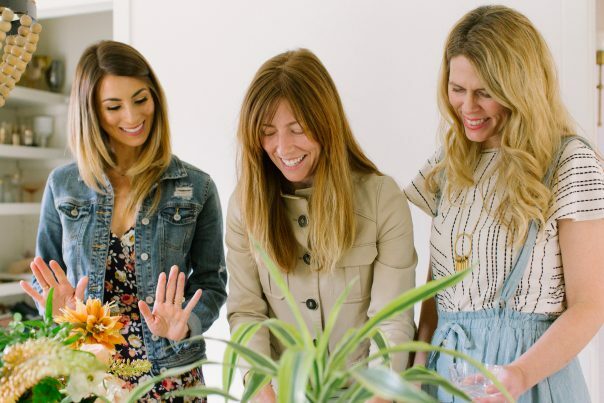 And just from watching Farra of Hostess Haven play around with Heather of Amorology I know that we are going to be blown away with our one-of-a-kind set up! For more about Hostess Haven click HERE! Invites: the where, what, & when! It has been extra special to get to work with Taylor’s mama, my soon to be mother-in-law on the gorgeous invitations. They are absolutely stunning. Taylor’s mom Danielle is an incredible artist, and everything she touches is left with a little unicorn dust on it— not kidding. If you’ve been following my instagram stories for the last couple of years, you’ve probably seen me share what I call the “Danielle Leopold Special” whenever we attend any gathering at her home. She worked as a graphic designer for years, and somehow we got so lucky for her to share her gifts and talents in this department with us. I cannot wait to share with you what the invitations turned out like, so many intricate pieces! It’s so special. Is it time for Dessert yet?! 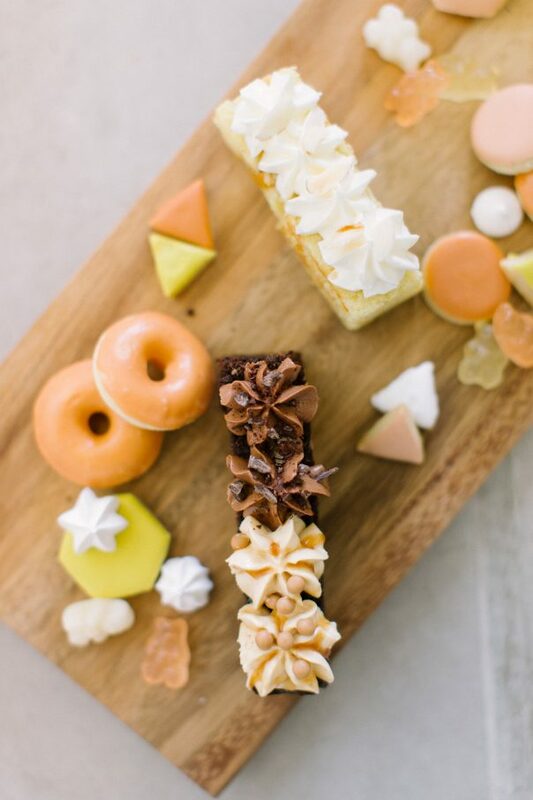 If you read my blog on The Taste of our Wedding you have an idea of what's to come in the food department, but just when I had your mouth watering, I left you hanging for dessert! 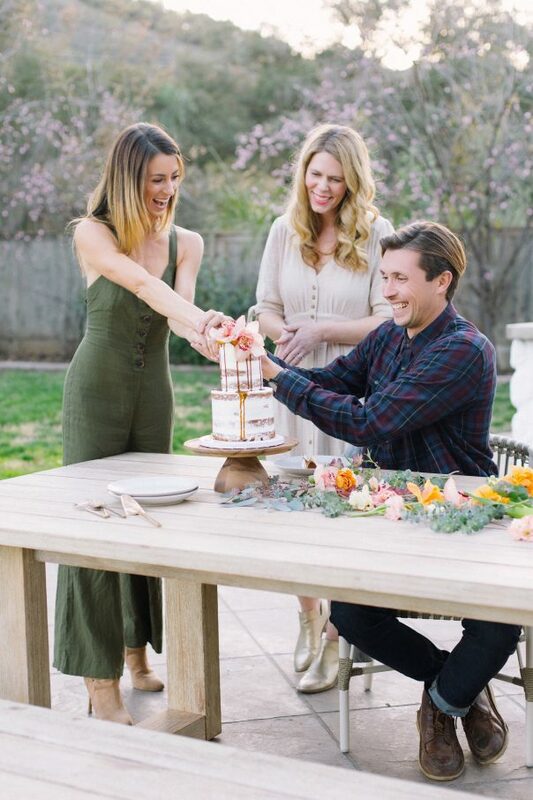 So drum roll please… I’m so excited to get to work with Stevi of Hey There Cupcake! And guess what?! She’s making our cake and several other desserts gluten free! Yes, yes, yes!! I’m so excited to be able to partake in eating cake at my wedding with my soon to be husband! She made some tasters for us so we could pick our flavors… yep, another fun part of wedding planning! We chose our flavors, but come wedding day, her cake design will be a surprise to us! I actually really like surprises, so this will be fun for me. What I do know… it will be delicious!! To explore more of Hey There Cupcake’s flavor click HERE! I’ve been so lucky to collect photos along the way of our wedding planning journey. Collecting these photos for myself as a keepsake and also to get to share this process with all of you. So who are the amazing humans taking such gorgeous photos?! Our amazing Wedding Photographers, Feather & Stone! These two behind the camera (Seth & Tenielle) are incredibly talented Fine Art Film Photographers that know how to capture the very special moments with the absolute perfect light. We are thrilled to get to be working with them! Our engagement photos are coming up, so I hope to have the opportunity to share more photos with all of you soon. 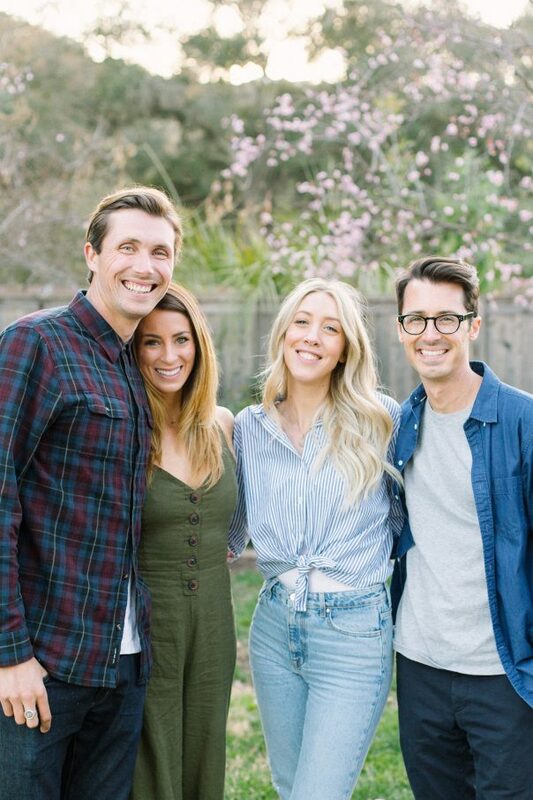 This husband and wife duo are some of the sweetest humans, and we're so honored to have them on board to capture this special day. These photos will be with us forever. 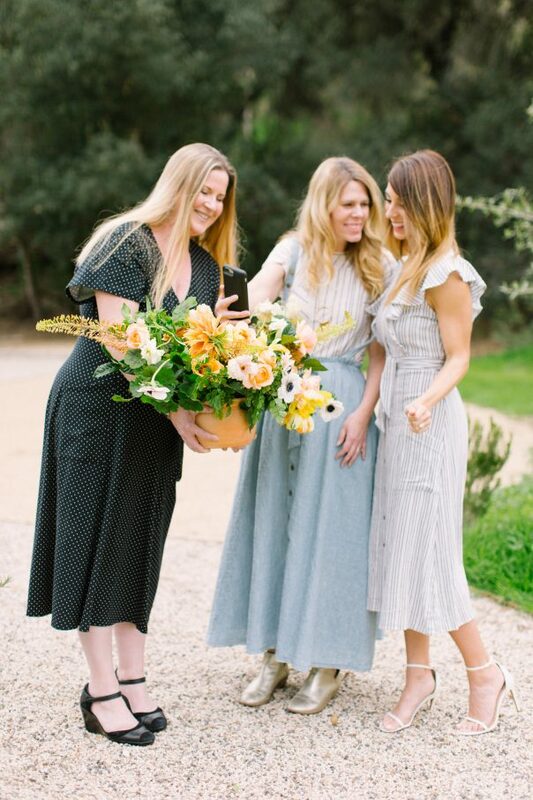 The day will fly by, but we will have the precious memories to live on through the photos, so we’re happy that Feather & Stone were available to join us on the big day and for some of the behind the scenes! For more about Feather & Stone click HERE! And there are still even more details that are falling into place for what I know is going to be such a special day for Taylor and me! I wasn’t kidding when I said that the Dream Team has been built! So here’s my question to you— Have any of you handed over creative control to your wedding vendors and just shown up day off? What did you think?! Any Brides & Grooms up for it? So curious to hear your thoughts! Thanks for continuing to follow along and share this exciting journey with us! My husband and I got married in January and I left my flowers completely in control of my florist, told a few ideas but they did everything… the layout, my bouquet, it all! It was such a lovely, dramatic surprise to walk into the reception and see them all! Love you’re doing even more surprises than me! Hi Tenley! I have really loved following your planning… I was wondering if you’d mind sharing with me your guest count? I am also planning a rather quick wedding and we are having trouble with the guest list! Deciding on an amount that allows us to have everyone there but will not be too difficult to plan in two months has been tricky. Did your planner have any advice for this?